Our Disciples Women’s programs provide an opportunity for Christian women to gather and support each other as they live a Christian life. Inspired by the teachings of the Bible and the life of Jesus Christ, our fellowship helps us navigate modern day trials and tests, while always affirming the positive guidance Jesus has given us. The purpose of DW is to provide opportunities for spiritual growth, enrichment, education and creative ministries; to enable women to develop a sense of personal responsibility for the whole mission of the church of Jesus Christ. 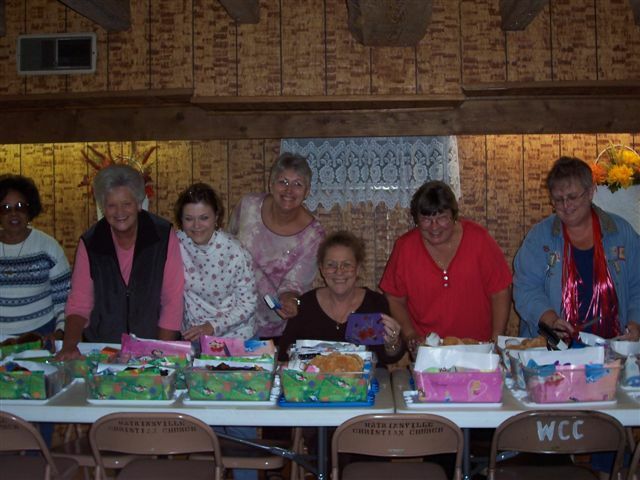 The women of the DW are active in many service projects throughout the year. Projects include preparation and delivery of Blessing Boxes; Plants, Cards & Gifts for Shut-Ins; Collections for Food, School Supplies and Clothing to the Needy; and Numerous Member Luncheons. Meets the fourth Monday after the fourth Sunday in a month at 7PM.